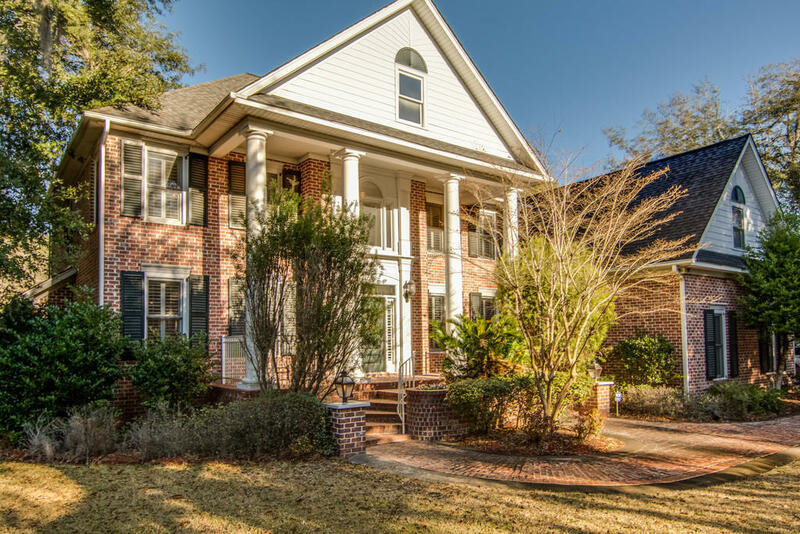 Here is YOUR chance to own a gorgeous home in the HEART of Summerville. Just minutes away from restaurants, coffee shops, and antique stores. This stunning 4,021 sqft brick home is located in the gated Live Oak Village and has been beautifully maintained. No expense has been spared on the detailed ceiling work, custom cabinetry and one of a kind wrought iron work throughout the home. Need a place to unwind?? This home has resort-like features throughout starting with the spacious master bathroom which includes a large walk-in shower with multiple shower heads and a large jetted tub. If you want to relax nestled among 100-year oak trees you will love the outdoor hot tub and for you movie lovers....grab a bag of popcorn, turn down the lights and enjoy the evening in your own personal theater. Enough about this home lets talk about why Summerville is a great place to call home starting with The Flowertown Festival. This 3-day event is held yearly in the beautiful Azalea Park right in the heart of town. Hundreds of artists from all around the country set up booths to display their pieces among the red, pink and white azaleas throughout the park. Restaurants from around the area serve up all different types of food to dazzle your taste buds. The 2019 festival will be held April 5th-7th and admission is free. Let me show you around town, take you to some homes and welcome you to my hometown.